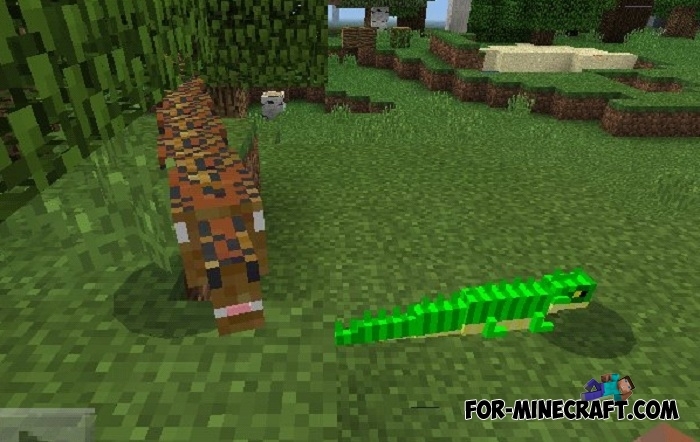 You may have seen these snakes in the Big Snakes addon but there are not many species of them and it does not introduce iguanas to Minecraft Bedrock Edition. 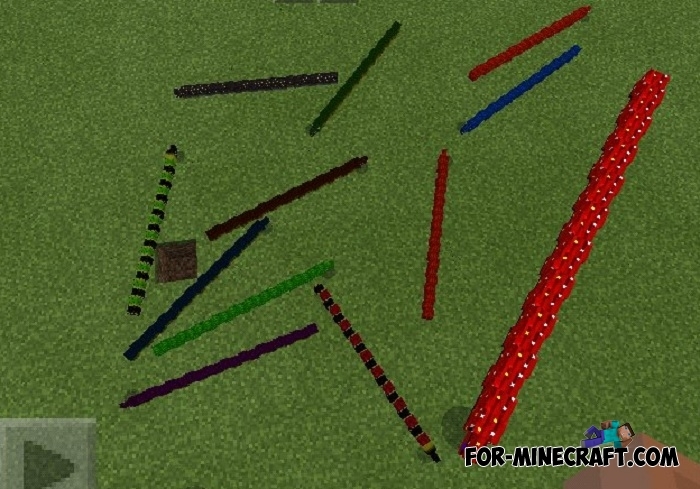 Fernan did the work and introduced his new addon to the review which adds a lot of snakes and iguanas which are tamed among other things. Although it may look strange, but tamed snakes are good enough helpers in difficult situations and can save your life more than once. How to tame the reptiles? First find a snake or iguana somewhere in the forests or plains, it is not so important, they live everywhere and even in some winter biomes. Finding a candidate for taming feed it watermelons and wait for it to become your friend. A tame reptile has better parameters than a wild one, so one tame snake can kill several wild ones. 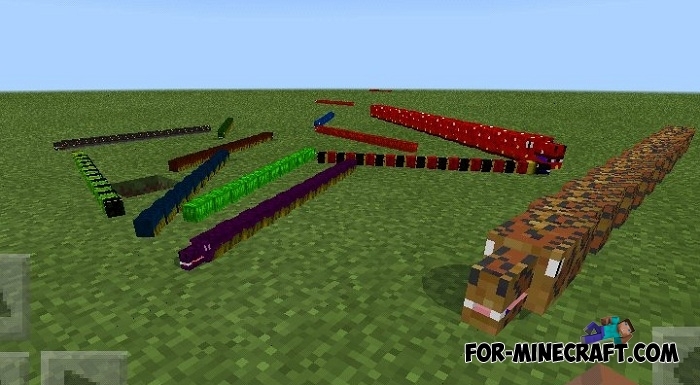 In general, a snake or iguanas army consisting of 3-5 snakes can defeat almost any creature that moves over land. 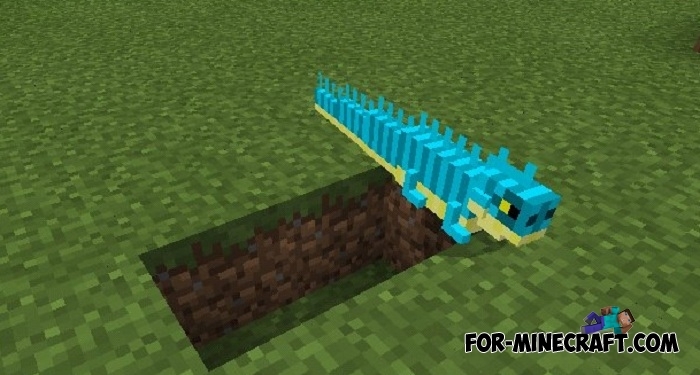 How to install the Reptiles addon?